iLuv Creative Technology, the premier provider of the most comprehensive line of accessories for the mobile lifestyle, announces today their new line of fashionable and protective cases for the anticipated launch of the iPhone 5C. iLuv’s new line boasts cases for every mobile lifestyle and features protective designs that range from sleek and professional to creative and fun. The new line of iPhone 5C cases expands on the current line of cases by offering many of the classic iLuv designs everyone knows and loves while adding an abundance of fresh designs and styles. 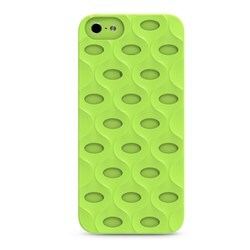 iLuv’s complete line of iPhone 5C Series cases and accessories are available at http://www.iLuv.com. Prices range from $ 9.99-$ 29.99. Follow us on Twitter @iLuv_World, Facebook at iLuv Creative Technology, Instagram at iLuv_Creative_Technology, and Pinterest at iLuv Creative Technology. iLuv Creative Technology, the premier provider of the most comprehensive line of accessories for Apple, Samsung and Smartphone devices, rapidly delivers products for today’s discriminating consumers. Since inception, iLuv has amassed a total of 35 prestigious awards including 6 red dot product design awards, 4 prestigious iF Design Awards, 2 Good Design Awards, and 23 CES Innovation Awards. iLuv was also recognized with 1 Global iBrand Top 20 award. These awards serve as recognition for our innovative design and engineering across a range of mobile accessories, including headphones, adapters, speakers and chargers. Headquartered in New York, iLuv is a division of jWIN Electronics Corp., a leading consumer electronics company since 1997. All iLuv products are conceived, designed and developed in New York and continue to lead in quality, value, design and innovation. Learn more about our distinctive range of products and why iLuv means Innovative Lifestyle Unquestionable Value® at http://www.iLuv.com. iLuv® and Innovative Lifestyle Unquestionable Value® trademarks are the exclusive properties of jWIN Electronics Corp. and are registered with the U.S. Patent and Trademark Office, and may be registered or pending registration in other countries. All other iLuv® trademarks, service marks, and logos may be registered or pending registration in the U.S. or in other countries. All other trademarks or registered trademarks are the property of their respective owners. © 2013 iLuv Creative Technology.